If you’re concerned about the security of your home, there are easy ways to improve home security that will help keep you and your family safe. There is safety in numbers. This is especially true when it comes to the security of your home. There is a greater chance of keeping burglars and trespassers off of your property if all of your neighbors are keeping their eyes open for any suspicious activities or people in the neighborhood. If your neighborhood has already established a neighborhood watch committee, join the group. Involving yourself in the safety of your neighborhood benefits everyone. When your neighbors are away, you can keep an eye on their property and they’ll return the same favor when you’re on vacation. If there isn’t a local neighborhood watch committee in your neighborhood, take the initiative to start one. This is a very proactive way to improve home security. Experienced criminals know that the best time to break into your home is when you’re away for an extended period of time, so they will seek out homes that look like they’re empty. Signs that a home isn’t occupied can be as simple as newspapers gathered on the front lawn and excess amounts of mail in the mailbox. To improve home security while you’re gone on vacation, put in a request to stop the delivery of your newspapers during your absence. You can also contact your local post office to request that they hold your mail until you return. Another option is to ask a trusted friend or neighbor to housesit for you and collect these items daily while you’re away. Other ways to make your home seem occupied while you’re gone is to ask a friend to visit your home once a day. Seeing a car in your driveway will give potential thieves the impression that you’re home. Also, you can purchase an electronic light timer that can be programmed to turn your lights on and off at specific times, which will act as a deterrent to thieves. While you want to make your home a reflection of your personality and personal tastes, you should choose decorations and fixtures that are both aesthetically pleasing and secure. This is something to keep in mind when choosing a front door for your home. There are many different ways a thief can enter your home. A common way for them to do this is by breaking a pane of glass near the front doorknob and reaching in through the broken glass pane to unlock your door from the inside. Choose a front door that is completely solid or has its panes of glass far away from the door handle. When you’re gone, you want your home protected and secure. Installing a home security system is the best way to improve home security. 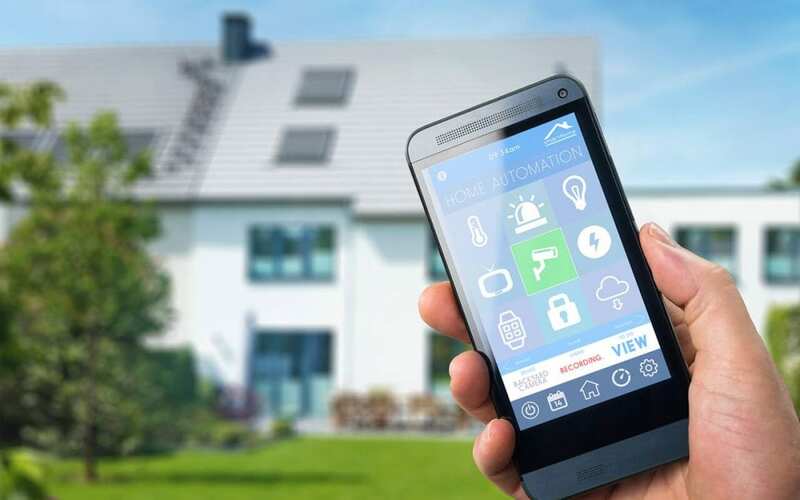 Many security systems on the market give you ways to monitor video footage of your home using your smartphone for convenience and peace of mind. A home security system will monitor for fire emergencies, intrusions, and carbon monoxide emissions to keep your family safe and protected. Republic Home Inspections serves Las Vegas and the surrounding communities with home inspection services. Contact us to book yours today.